Canker sores can be a major pain, making eating and talking difficult. They often seem to come and go without any obvious cause. Canker sores are oval sores that form inside your mouth, including on the tongue. Unlike cold sores, they do not form on the outside of the mouth. Unlike cold sores, canker sores are not contagious. However, they can cause a lot of pain and last for weeks. Canker sores are divided into two main groups: complex and simple (x). Complex canker sores tend to be larger and take longer to heal. They are also usually deeper. Simple canker sores tend to be fairly small and heal within a few weeks. They also rarely leave any scarring after they heal. Canker sores are often confused with other oral infections, such as cold sores. Here are some of the main symptoms you should look for to determine if you have a canker sore or some other form of oral sore. Canker sores tend to be circular or oval sores located around the mouth or tongue. They can vary widely in size, from tiny dots to sores the size of a penny. Some people who develop canker sores report that the site where the sore develops is initially tingly and sensitive. You may also notice a burning sensation in that area before the formation of the sore (x). Most canker sores are painful to the touch. Spicy or acidic foods can worsen this pain. This pain tends to be at its worst a few days after the sores form and gradually diminishes as the sore begins to heal and close. Most canker sores have a noticeable white or yellow center. The sores tend to be whitest a few days after they form, and then the color gradually fades as the sore begins to heal. But if your sores have a different color, they may not be canker sores, and you should talk to your doctor. 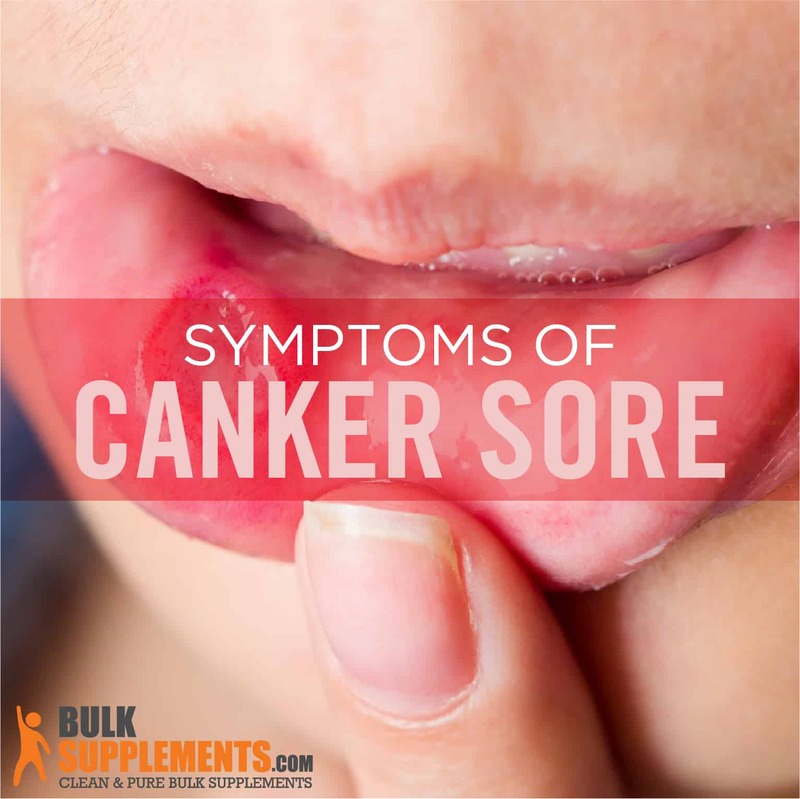 Although canker sores can be quite painful, they usually heal on their own. Most canker sores clear up within a week or so (x). If you have sores that are not healing with time, you may have a more serious oral health issue or a problem with your immune system. Contact your doctor if you notice that your sores aren’t going away after a few weeks. One of the leading explanations for canker sores is that they are caused by your body’s allergic response to bacteria. These bacteria can infect the soft tissue of your mouth, which then leads to an immune response. This immune response attacks the bacteria-infected tissue in your mouth, which causes canker sores (x). This is a type of bacteria that live in your digestive tract. It’s one of the most common bacterial infections in the world, often not causing any symptoms. In some people, however, it may cause ulcers to form in the stomach. This bacteria has also been linked to the development of canker sores (x). It’s believed that the bacteria infects the tissue of the mouth, which then causes an immune response to the body. The canker sores are a result of this immune attack. Another common cause of canker sores is a minor injury to the mouth. This can be caused by biting the tongue or gums. This injury then develops into a canker sore (x). In addition to biting, braces or retainers also seem to cause canker sores. The rough surfaces of these objects cause abrasion of the mouth tissue, which then leads to the formation of canker sores. However, It’s not known whether the injury itself or a bacterial infection that follows causes the canker sore. Another explanation for canker sores is that they are caused by a virus. Like with bacteria, a virus can provoke an immune response from your body. This response attacks the tissue in your mouth, leading to canker sores. A common type of viral canker sore is called a herpetiform sore. These are not from the herpes virus, despite what the name seems to suggest. They usually are tiny dots that form in clusters in your mouth (x). There’s little that can be done to treat viral canker sores. You simply have to treat the pain and wait for them to heal. People often notice that their canker sores occur during periods of high stress. It’s unlikely that the stress alone is causing the canker sores. Instead, the stress is likely activating an immune response to bacteria (x). After the stressful period ends, the canker sores will usually heal on their own. Another possible cause of canker sores is a lack of key vitamins in your diet. If you are deficient in vitamin B-6, B-12, or zinc, this may lead to canker sores (x) (x). However, exactly how this vitamin deficiency leads to the formation of canker sores is unknown, but it may involve an improperly functioning metabolism or immune system. There’s a wide variety of remedies and supplements out there for those looking for how to get rid of their canker sores. But do note that canker sore treatments are not the same as cold sore treatments, as they are two separate medical conditions. Goldenseal is a plant native to the eastern United States. Its dried root has long been used in herbal remedies as an antibiotic to promote healing. Goldenseal contains an alkaloid compound that has antibiotic and antifungal properties (x). This may heal canker sores caused by bacteria. To use goldenseal as a rinse, dissolve pure goldenseal powder in water and gargle it, making sure that the rinse thoroughly coats the sores. You can safely swallow goldenseal. Although goldenseal is generally considered safe, minor side effects may include indigestion and an upset stomach. Vitamin C is commonly used in a wide variety of over-the-counter products to boost the immune system if you have a cold. It helps certain immune cells, such as phagocytes, function more effectively. This helps your body fight off bacterial infections. Without enough vitamin C, you may be vulnerable to infection from a range of pathogens (x). This immune-boosting effect makes vitamin C another potentially effective canker sore treatment. Vitamin C will take time to work, so it won’t directly address the pain of the canker sores. But it may help them heal more quickly (x). This is a common remedy used to treat the pain from canker sores, and one of the simplest. Dissolve it in water and gargle the salt water mix, making sure to coat the surface the canker sores. Gargling with salt water can’t cure canker sores but it may lessen the pain. You can use it throughout the day as needed to relieve symptoms. The high acid content of apple cider vinegar could act as a canker sore treatment by killing the bacteria that causes canker sores. Because it’s acidic, apple cider vinegar may cause some pain when you gargle it. If you have large, painful sores, you may want to consider a gentler remedy, such as goldenseal or vitamin C. These will give you some of the same benefits without irritating the sores. Some canker sores may stem from a deficiency of vitamins B6, B12, and minerals like zinc. One easy way to treat and prevent canker sores is by adding vitamins to your diet (x). This remedy won’t work quickly, however, and your sores may heal naturally before the vitamins have any effect. But they could prevent the sores from returning. Avoiding spicy or acidic foods won’t cure canker sores, but it will keep you from further irritating your sores. Although curing canker sores quickly is difficult, there are a variety of remedies out there that could help you treat the pain and possibly heal the sores faster. Use remedies such as goldenseal or vitamin C to get relief from your canker sores, or you could try home remedies such as salt water or apple cider vinegar. With proper care, canker sores usually clear up within a few days. 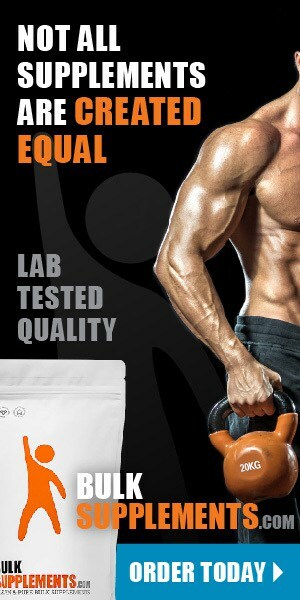 **The statements in this article have not been evaluated by the FDA. Supplements are not intended to diagnose, treat, cure, or prevent diseases—instead, they help maintain your long-term health.